If you’d like to be notified of upcoming editions please send an email with your name and email address to list@baja-almanac.com. 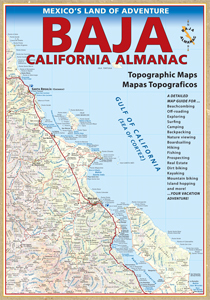 Let the new Baja Almanac topographic map book help you explore the peninsula… whatever your interest, destination, or mode of transportation. We are currently sold out. © Copyright 2019 Baja-Almanac.com. All rights reserved.